We're around, oh, two hours away from the beginning of the Tokyo Game Show. 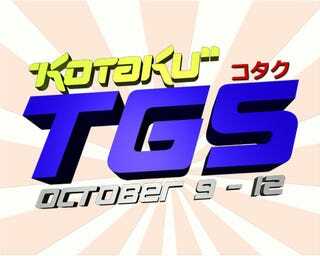 To follow will be four days of, yes, balls to the wall coverage of everything the Japanese gaming industry (and assorted Western hangers-on) has to offer. Kicking things off this morning will be a keynote address by Square Enix boss Yoichi Wada at 10am local time (6pm Pacific, 9pm Eastern) followed by a Microsoft address starring John Schappert. Those two are back-to-back (and we'll be live-blogging both of them). Co-incidence? Let's find out. After those two there'll be games games games. Stay tuned. Gonna be a blast.